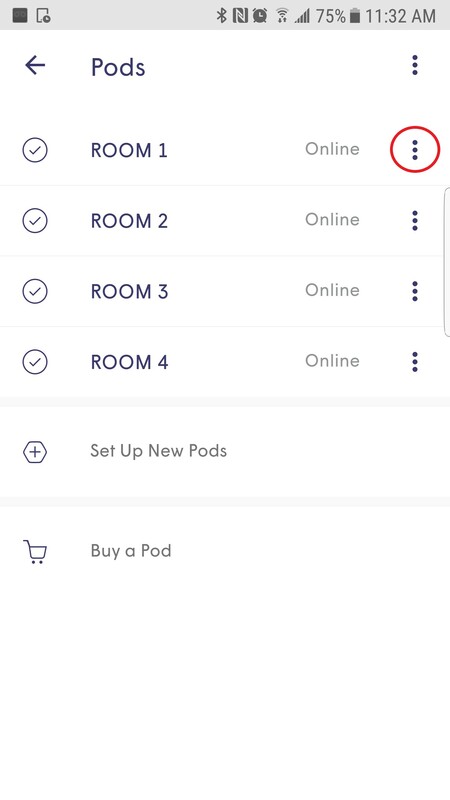 How do I delete a pod? 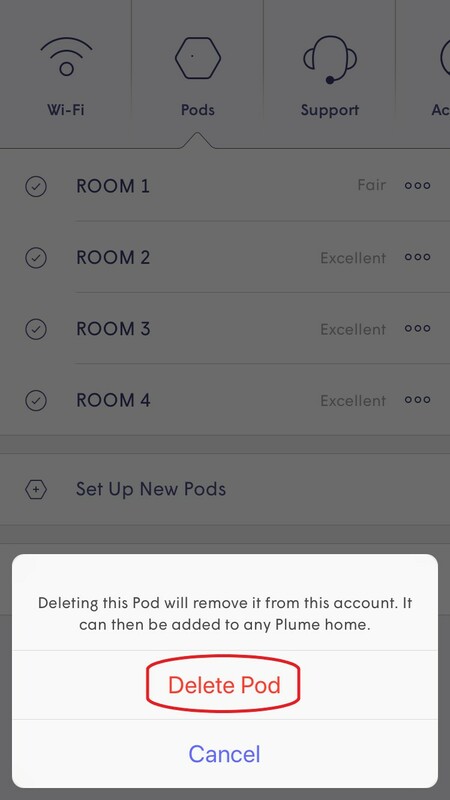 Deleting a pod from your account will completely disassociate this pod from your account. 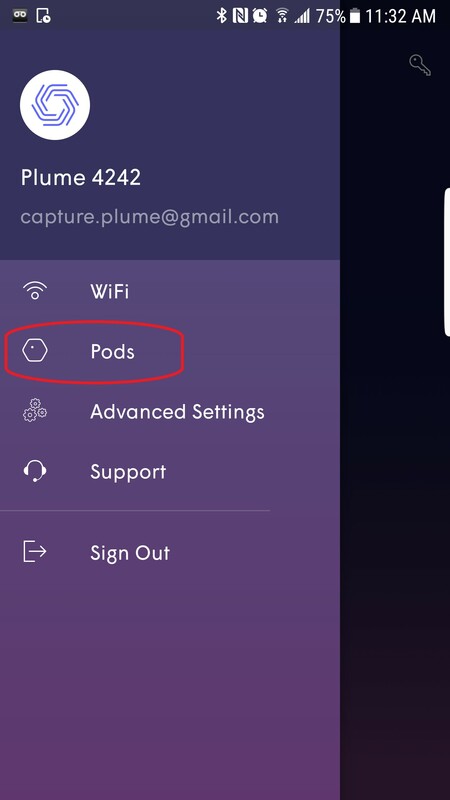 You will be able to add the pod back to your account or add it to another Plume account after deleting the pod. 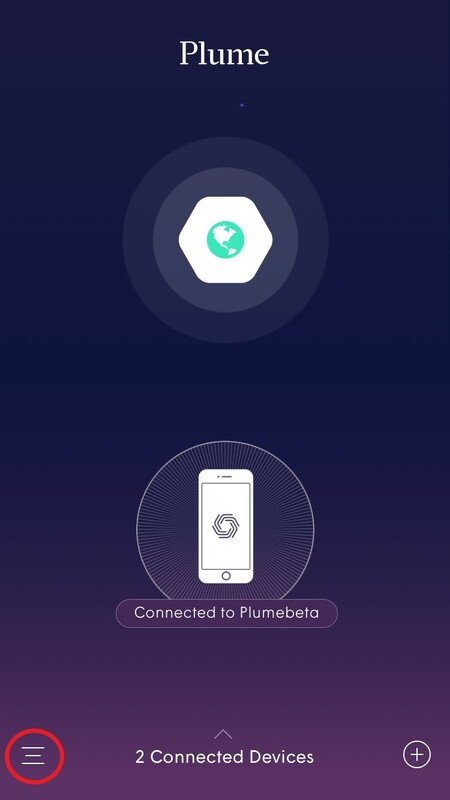 Open the main menu by tapping the Ξ button on the bottom-left of the app home screen. 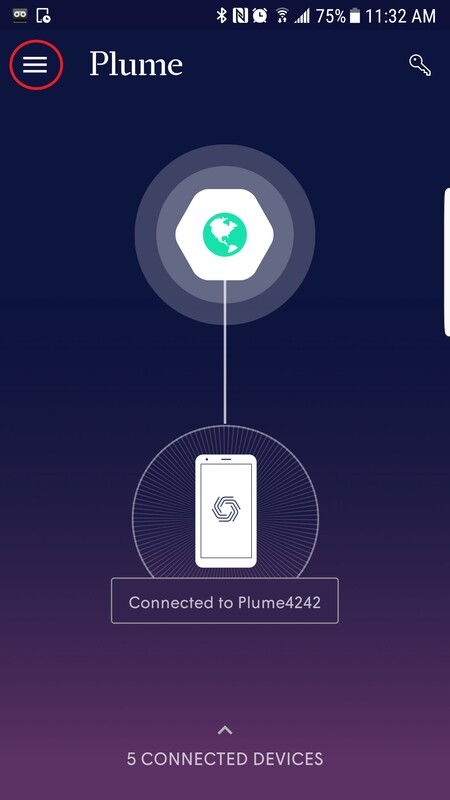 Tap on the Adaptive WiFi™ tab. 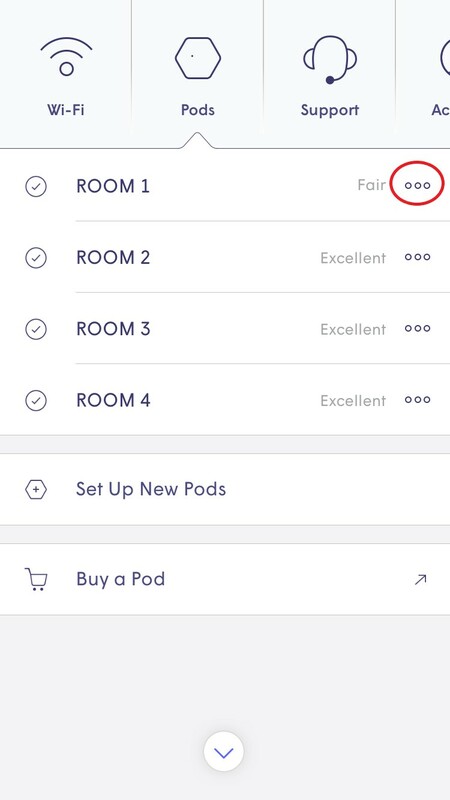 Select the pod you would like to delete by clicking on the ⋯ beside the name of the selected pod. 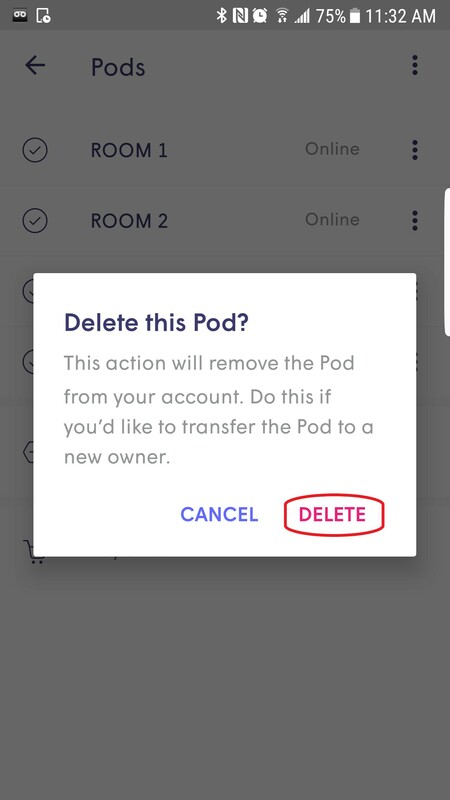 Select Delete this Pod... and then Delete Pod to confirm. 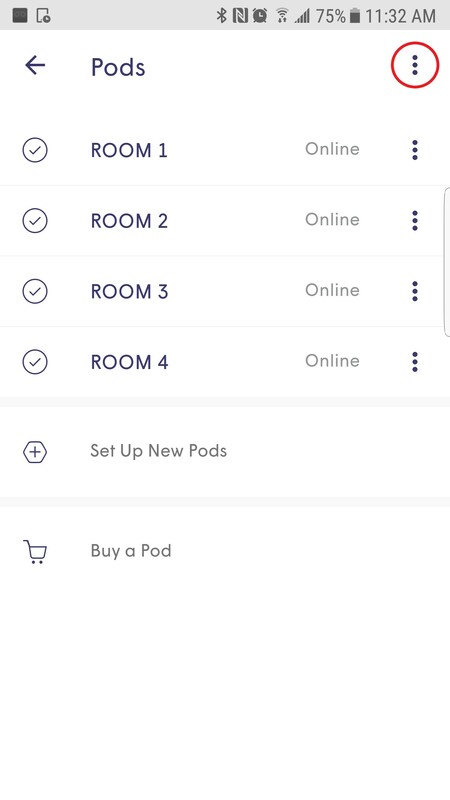 You can also go directly to the individual pod's menu by clicking it from the topology view. 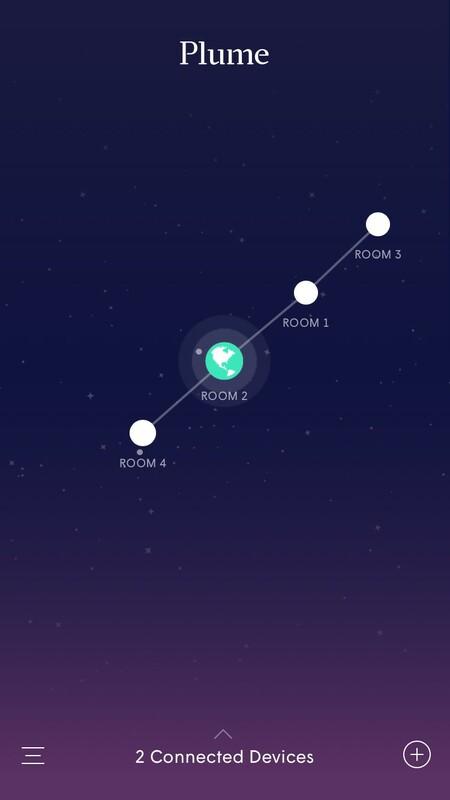 Open the main menu by tapping the Ξ button on the top-left of the app home screen. 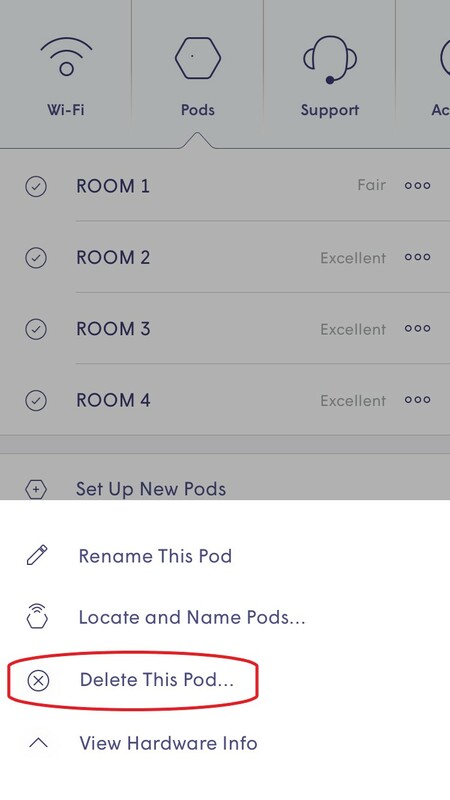 Select the pod you would like to delete by clicking on the ︙ beside the name of the selected pod. 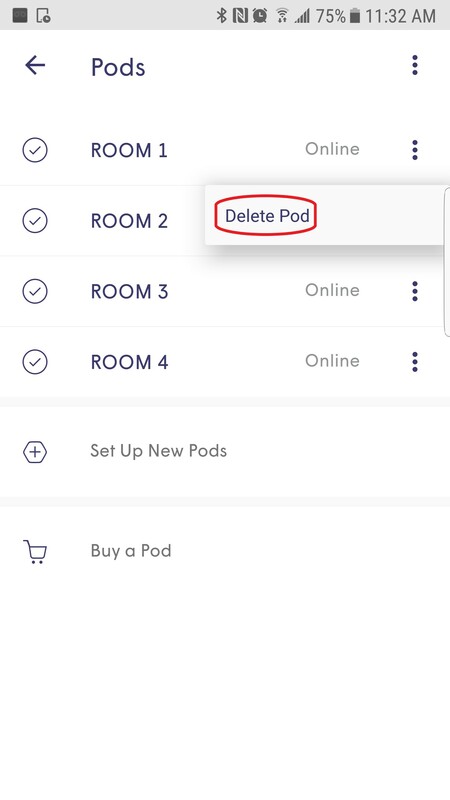 Select Delete Pod and Delete to confirm. 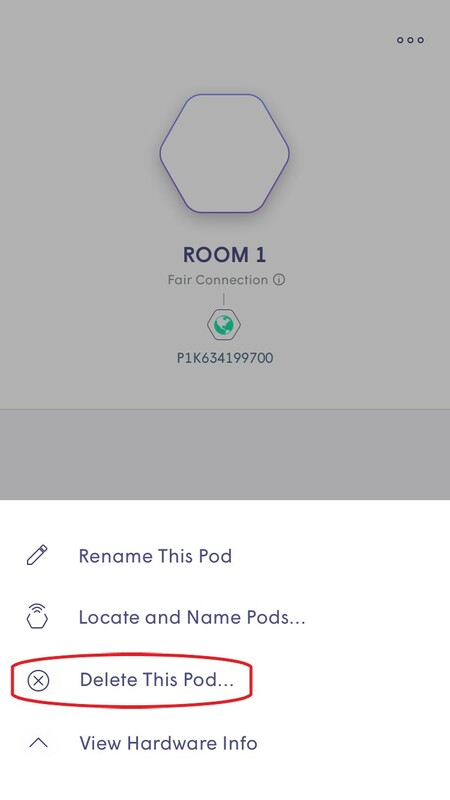 You can also go directly to the pod's menu by clicking it from the topology view. 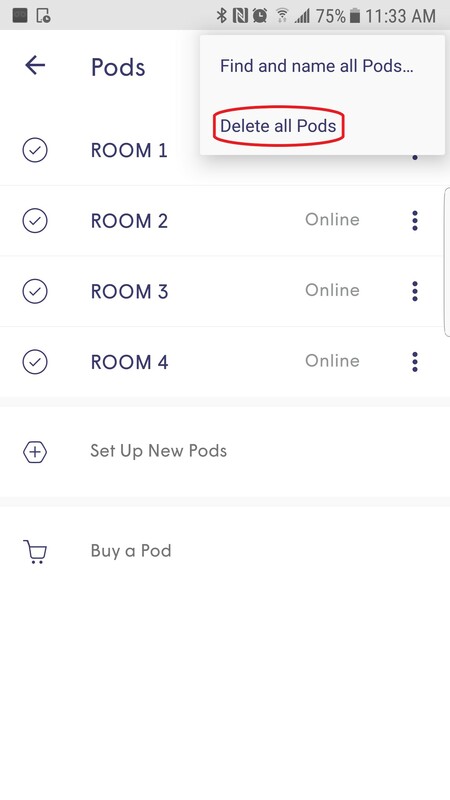 On Android, you can Delete all Pods from the Pods menu by tapping the ︙ on the top-right of the screen.